A frequently requested keynote speaker, facilitator, and consultant, Amer F. Ahmed, Ed.D. skillfully interweaves social justice, diversity and inclusion, and intercultural frameworks to cultivate rich and meaningful dialogue with his audiences. 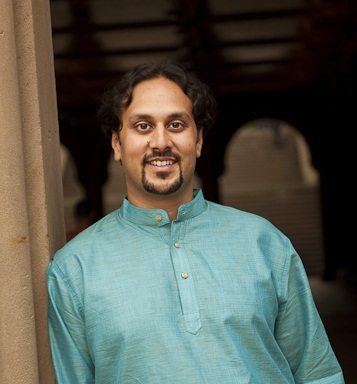 He was born in Ohio to Indian Muslim immigrants, and draws on lived experience, deep theoretical analysis, and practical application to guide institutions, leadership, and workplaces on a path to transformative change. Born in Springfield, Ohio to Indian Muslim immigrants, Amer has dedicated his life to engaging and facilitating diversity across human difference. His studies in Anthropology and Black Studies have been enhanced by powerful study abroad experiences in South Africa and Nepal. Amer’s education, world experiences and his Indian-Muslim-American upbringing helps him understand the need for respect and dignity of all people. Amer has served as Director of Intercultural Programs at Loras College in Dubuque, IA and Concordia College in Moorhead, MN before moving on to University of Michigan and later to Swarthmore College. His professional experience provides him with unique perspectives on Diversity and Inclusion policies and practices in Higher Education and numerous other professional contexts. Amer is also a prominent national speaker invited to numerous campuses, conferences and institutes to speak on his diverse and unique areas of expertise. He also has been featured on MSNBC’s “Melissa Harris Perry” show and in “Cracking the Codes,” a documentary film on racism directed by Dr. Shakti Butler. Among his many areas of expertise, Amer has most prominently been engaged as a unique resource to address issues related to Islam, Islamophobia and interfaith issues. Throughout his career, Amer has consistently addressed all forms of marginality that impact how individuals experience institutions and issues of social justice that continue to face traditionally marginalized communities. In addition, he bridges this work with the field of Intercultural Communication emphasizing developmental approaches to Intercultural sensitivity. Such approaches have been useful in his work on Organizational, Leadership and Student Development and Assessment as well as in Workshop facilitation and Public speaking. Amer is continuing this work as Director of Intercultural Teaching and Faculty Development at University of Massachusetts – Amherst, Faculty at the Summer and Winter Institutes for Intercultural Communication. Amer’s is deeply rooted and committed to the empowerment of young people through unique approaches that seek to unlock their creative potential. Through unique engagement with social media, arts and facilitation, Amer is committed to lifting voices of the youth to create transformative change in the world.